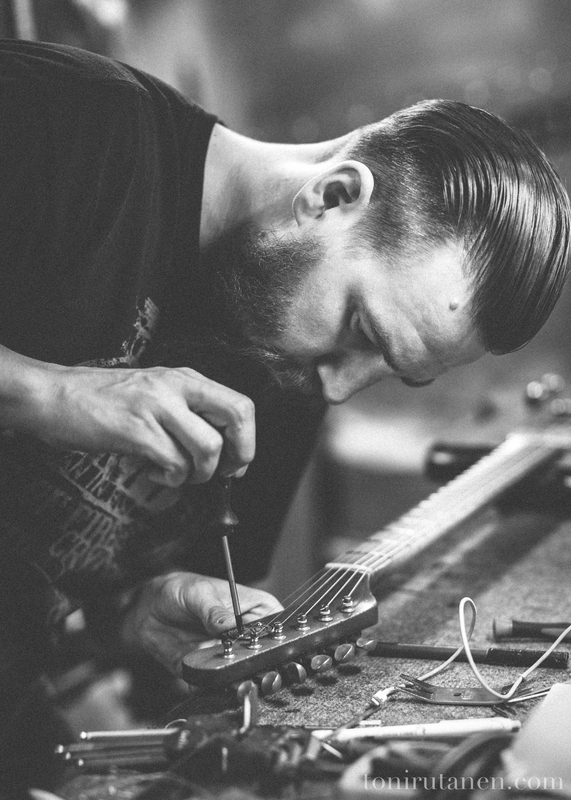 Vuorensaku Guitars is a one mans guitar workshop from Jyväskylä, Finland. Back in the days at spring 2008 I graduated as an Artisan of Lutherie from Ikaalinen College of Crafts and Design. After that I worked as an apprentice for Master Luthier for 4 years. Another place I did some training during school time was in Lakewood Guitars in Giessen, Germany. Here's one example of my Custom Pickups. The Uncle Sam's Stra6t set. Take a look! 2015 - Vuorensaku - Mama Bass T.
2015 - Vuorensaku - Grand Master T.